What it’s about: A picture book about a young boy determined to be bad. What made me pick it up: I like Barnaby’s work. I’ve only read her YA novels and was excited to get my hands on this, her first picture book. I heard her talk about the process of writing it a few years ago and am excited to see the finished product. My favorite things: This book will remind you what it was like if you used to be a headstrong, mischievous child. The little boy hellbent on becoming a villain is fun. My most favorite part, though, is the end where he discovers a partner in crime in the most unexpected person. I also enjoyed the subtle send up to Bond villains in the illustrations. Who it’s great for: Bad kids who grew up. Good kids who think they are or wish they were bad. Anyone with a healthy sense of imagination. What it’s about: A little pea who must finish dinner before he can have dessert. What made me pick it up: Amy Krouse Rosenthal was a prolific author with a distinctive style but I don’t feel like I’ve sampled enough of her work. So I checked this out. My favorite things: The illustrations are great. It’s like a more mature and subdued Veggie Tales. It was the story that I enjoyed most though. This pea doesn’t like what’s for dinner, and has to force himself to choke it down, even though dinner is CANDY! I enjoyed so much that it tips common child-hates-dinner experience on its head. In the end (spoiler!) Little Pea finishes his candy so he can have his favorite dessert – spinach! Who it’s great for: Littles who don’t like what’s for dinner or have trouble eating their veggies. Parents who want a brief, humorous story to read. Find this book at Amazon (affiliate link) or in your local library. 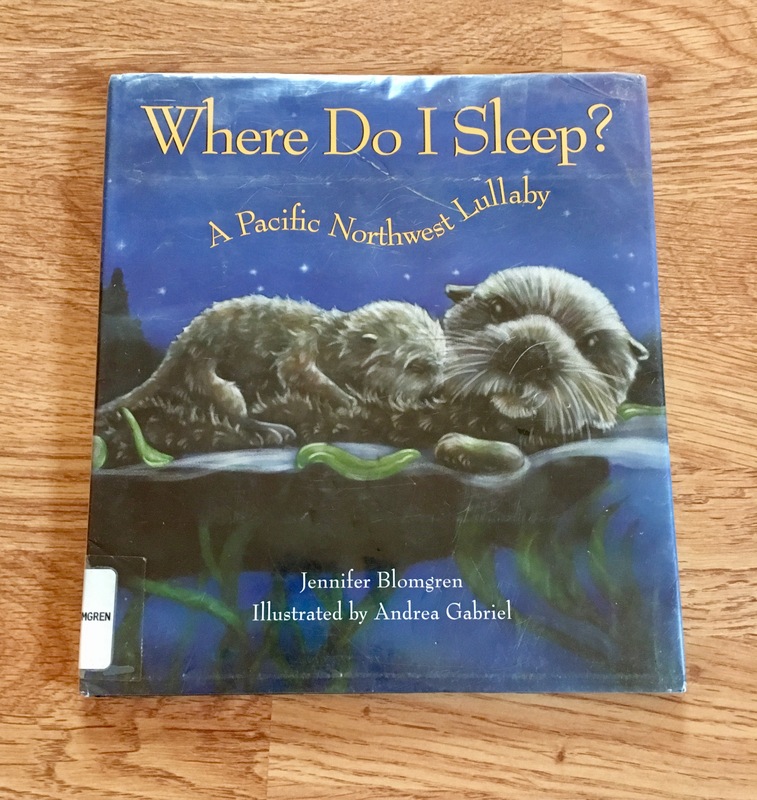 What it’s about: A picture book about animals of the Pacific Northwest and where they spend their nights. What made me pick it up: It had otters on the cover. My favorite things: This has lovely illustrations and sweet rhymes that provide a catchy method for teaching kids a little bit about nature – mostly the names of baby animals. Who it’s great for: Fans of otters puffins, moose, wolves or other creatures. Parents looking for a lyrical bedtime story. Pick up a copy at Amazon (affiliate link) or in your local library.